And now for something totally whack—totally tomorrow, totally yesterday, not at all today. 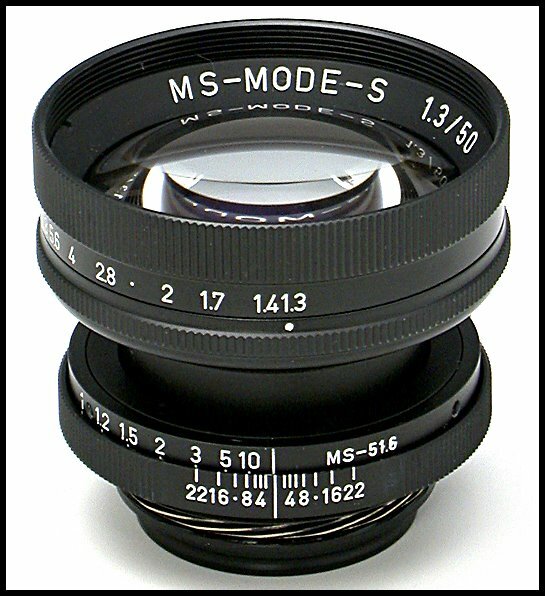 Spotted on DC Watch is this new lens from MS Optical Research and Development: the MS-Mode-M, a 50mm ƒ/1.3 lens in interchangeable mounts for use on both Leica screw and Nikon S RF cameras. It's apparently a 4-group, 5-element Sonnar type with a 12-bladed diaphragm. 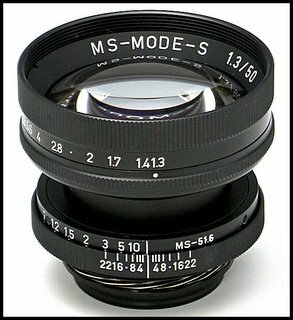 Filter size: 49mm. Weight: 136g with Leica mount attached. Japanese price in Leica screwmount is Y90,000 ($750), in Nikon RF mount Y75,000 ($625). Yet another reason to love the Japanese. And remember, you read about it here.